The 'Inspection Menu' provides additional functionality to a dashboard cell. This tutorial explains the available options. 1Tap the ⓘ button to display the Inspection Menu. 2The Inspection Menu appears with a list of options. Select an option from the list. 3Select 'Share' to share the dashboard cell as an image. 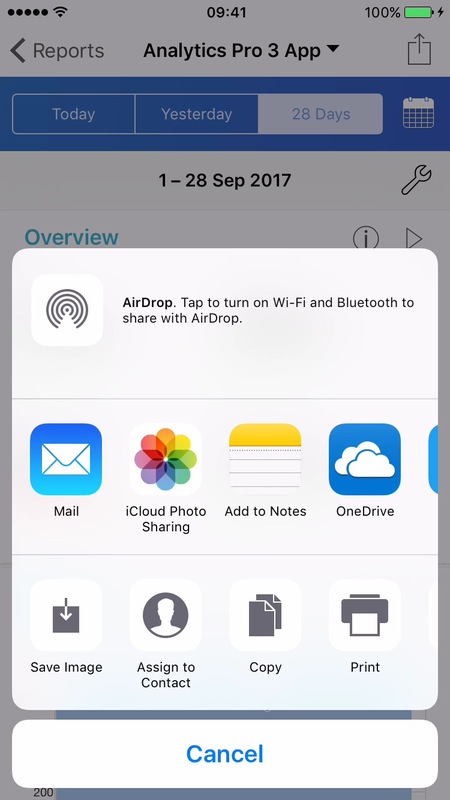 The default iOS share sheet is displayed with available sharing options. 4Select 'Move to Top' to re-order the dashboard cells by moving the selected cell to the top of the dashboard. 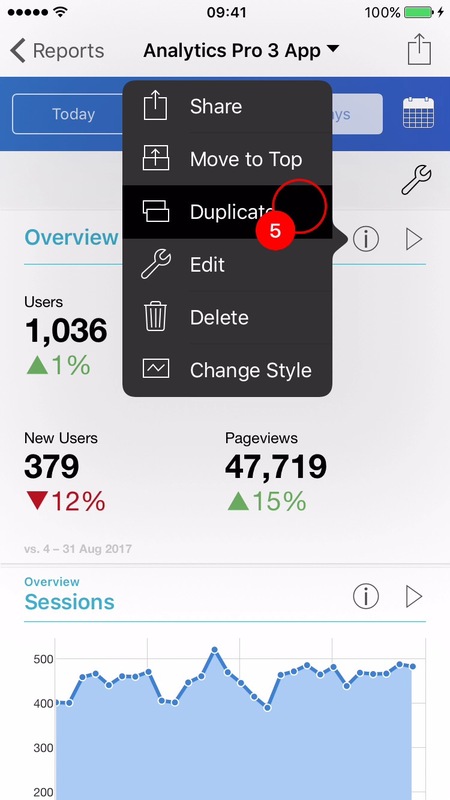 5Select 'Duplicate' to make a copy of a dashboard cell. 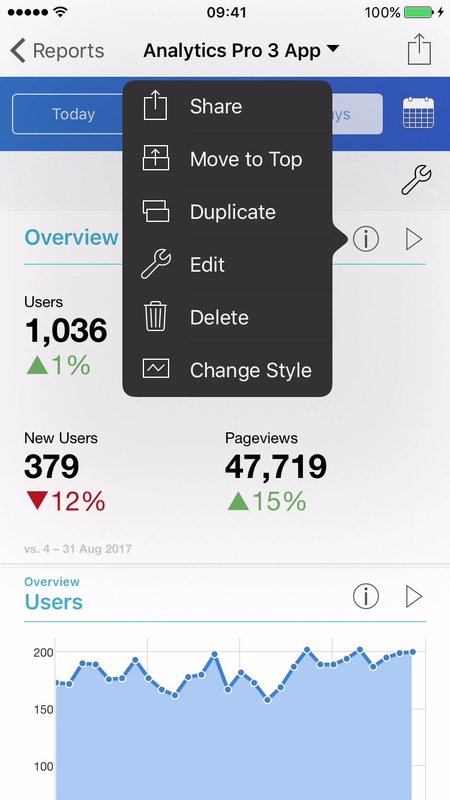 This is useful when you wish to add an additional cell to a dashboard, then alter it's properties using the 'Edit' option. 6Select 'Edit' to alter the properties of a dashboard cell. 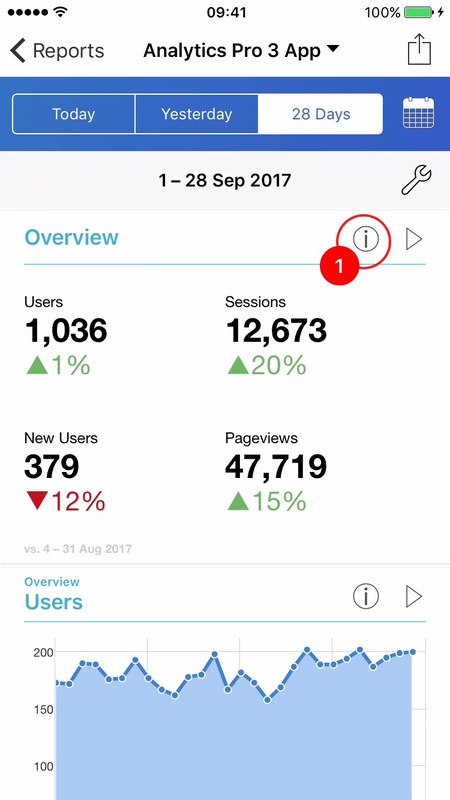 For more details see the 'Custom Dashboards' tutorials. 7Select 'Delete' to delete a cell from the dashboard. 8Select 'Change Style' to change the style of the cell displayed in the dashboard.